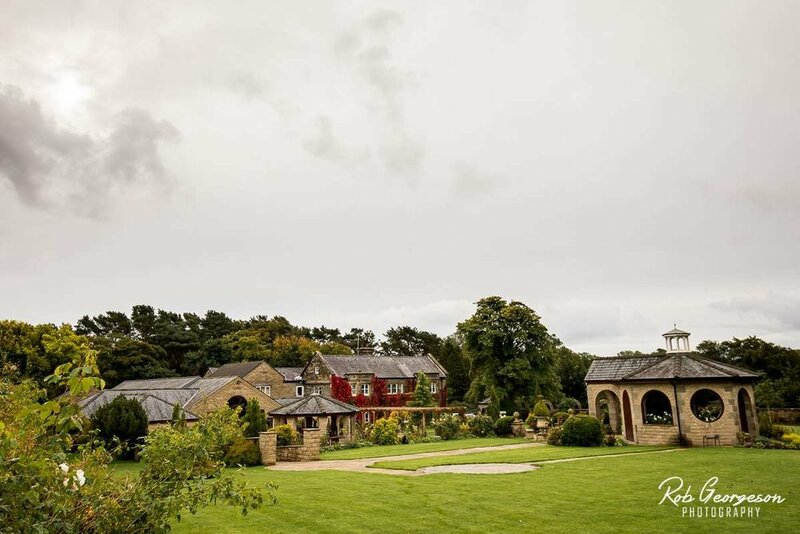 As an official Ferraris Country House recommended wedding photographer it’s always a pleasure to go back there. 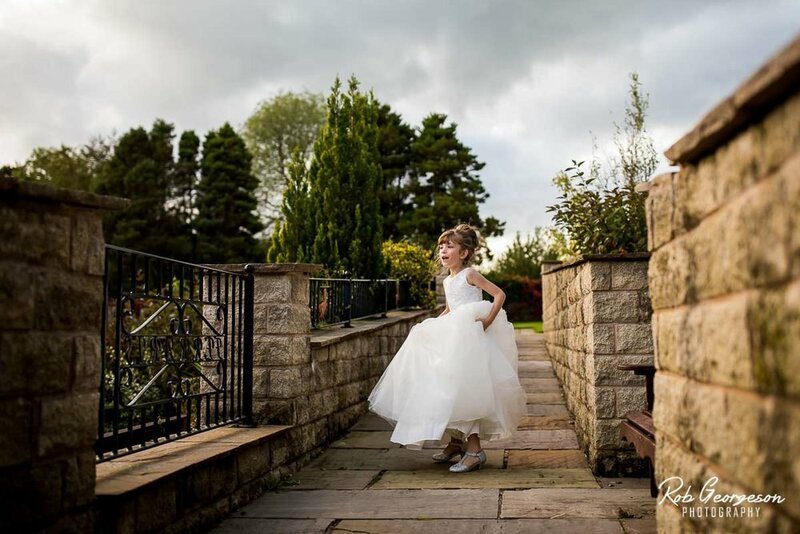 Set in the little village of Thornley in the heart of rural Lancashire with views of the stunning Ribble Valley, this family run establishment offers a really warm welcome to everyone. 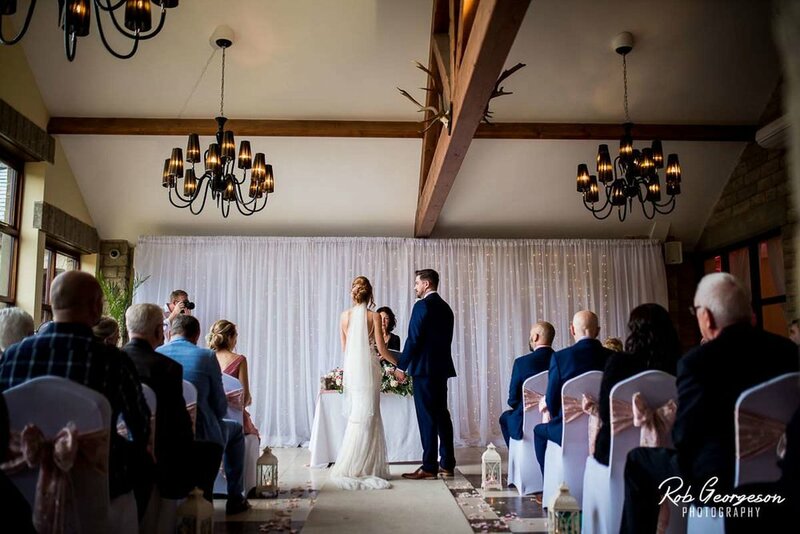 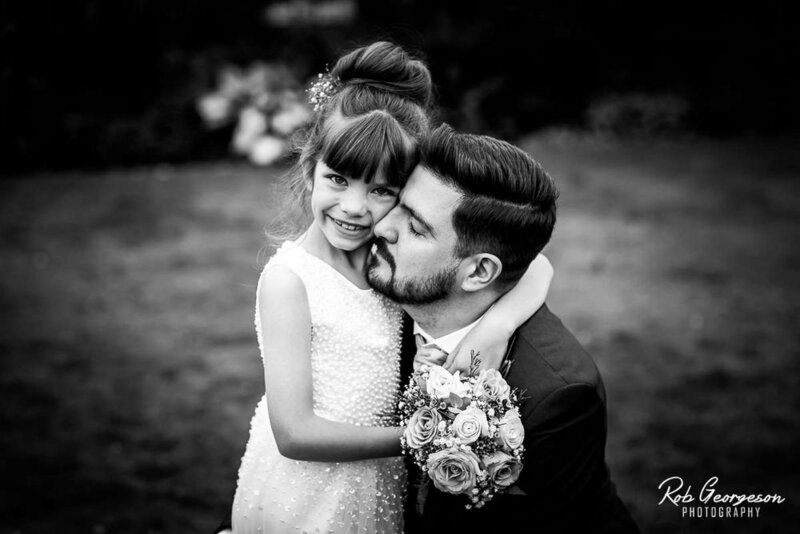 With the ceremony room overlooking the beautiful gardens and its stunning Dove Cote and the Koi Carp fish pond it’s the perfect wedding venue. 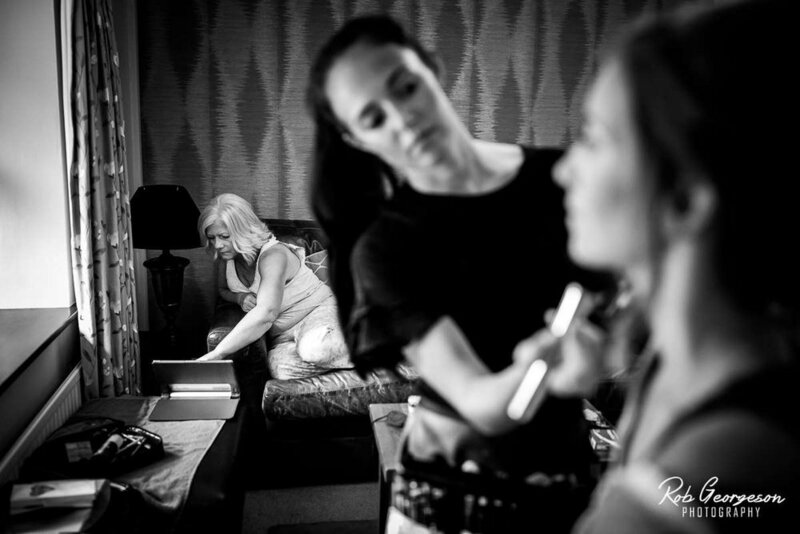 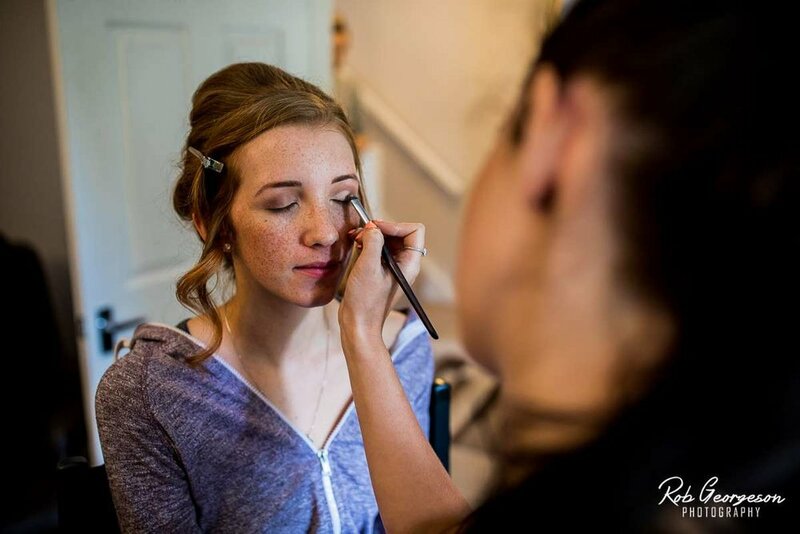 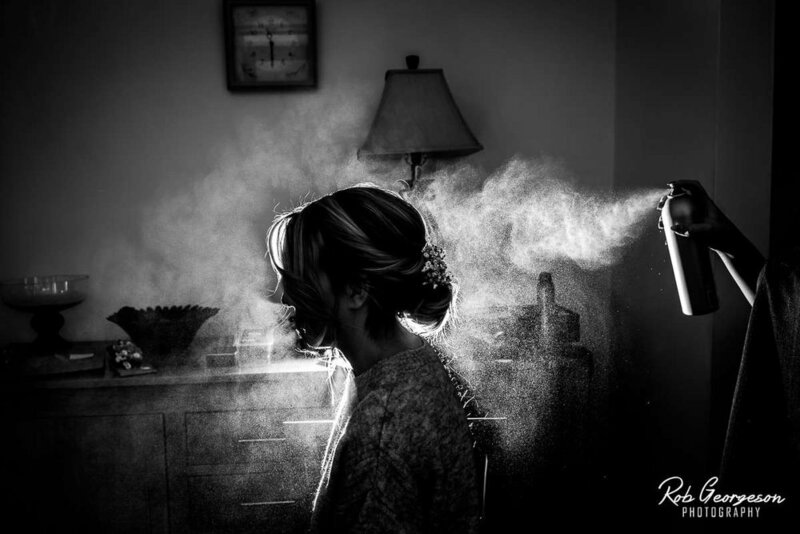 Samantha spent the morning getting ready with her bridesmaids, her mum and her daughter in one of the cottages at the back of the main Ferrari’s building getting her hair and make-up done before she was ready to get in to her stunning wedding dress. 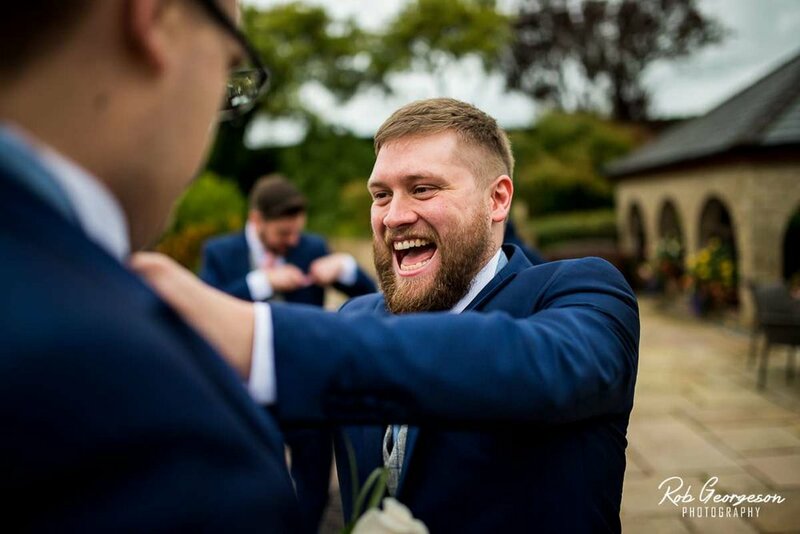 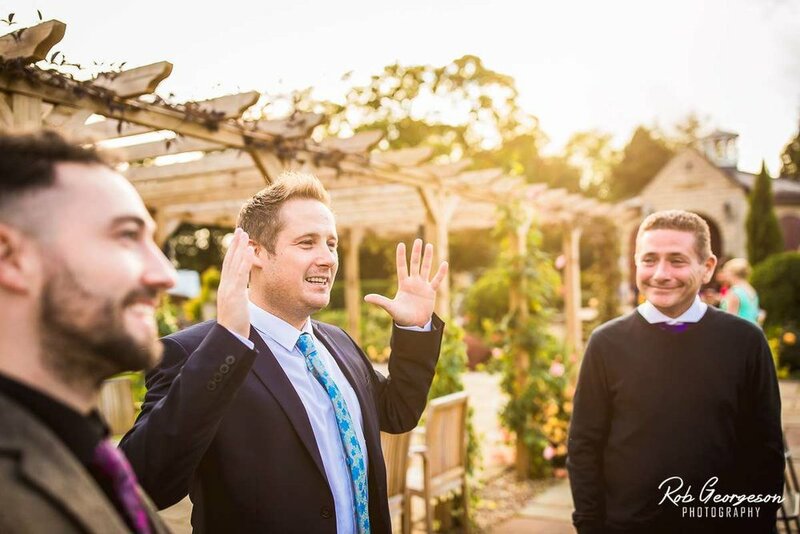 Meanwhile, my assistant photographer, Craig Probert Photography spent the morning with Adam and his groomsmen who were getting ready for the big day in the hotel rooms before enjoying the good weather in the gardens waiting for the guests to arrive for the wedding ceremony. 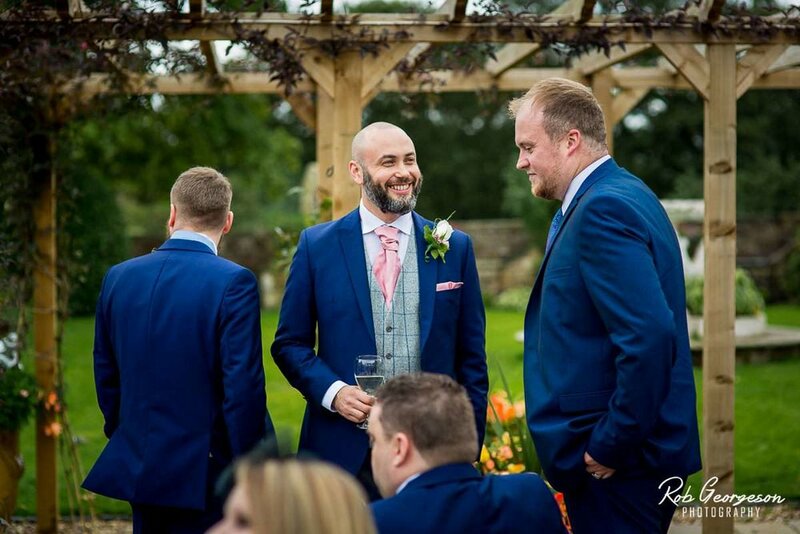 As Samantha was led down the aisle by her father she was full of smiles at the sight of Adam waiting for her at the front. 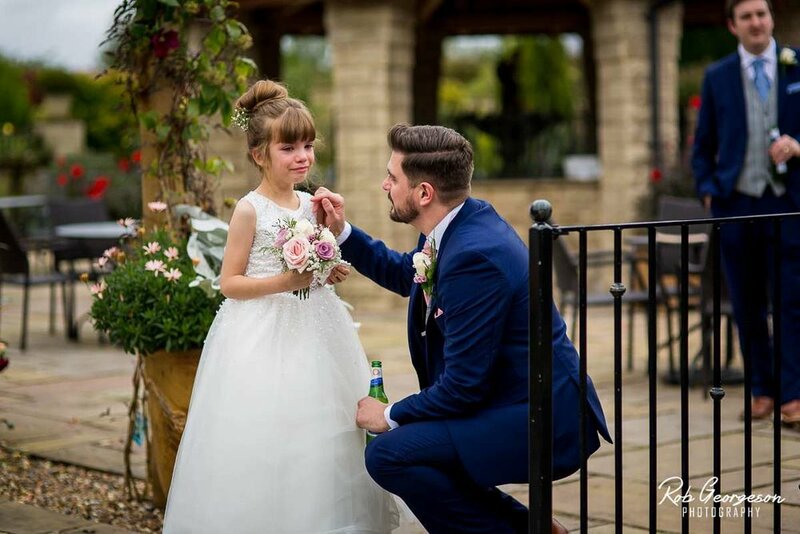 The short civil ceremony was romantic and emotional and brought tears to the eyes of their daughter who was very emotional all day. 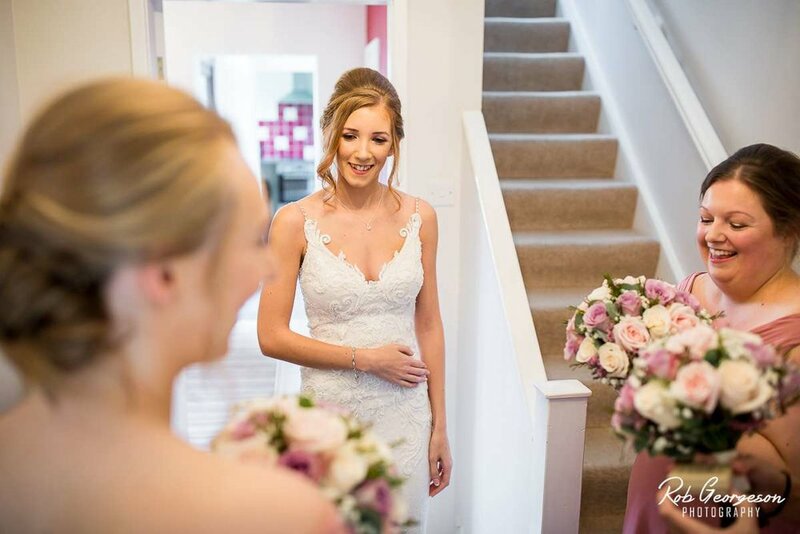 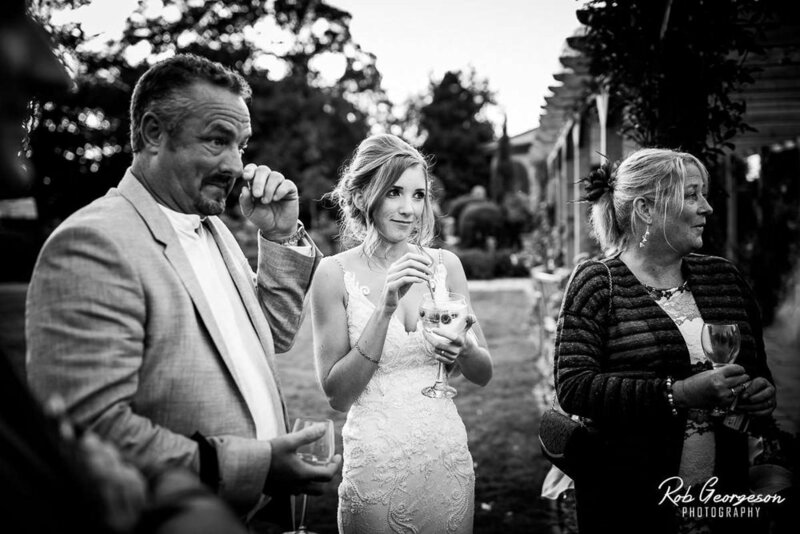 Certainly tears of joy as she was regularly heard telling her mum how beautiful she looked in her wedding dress. 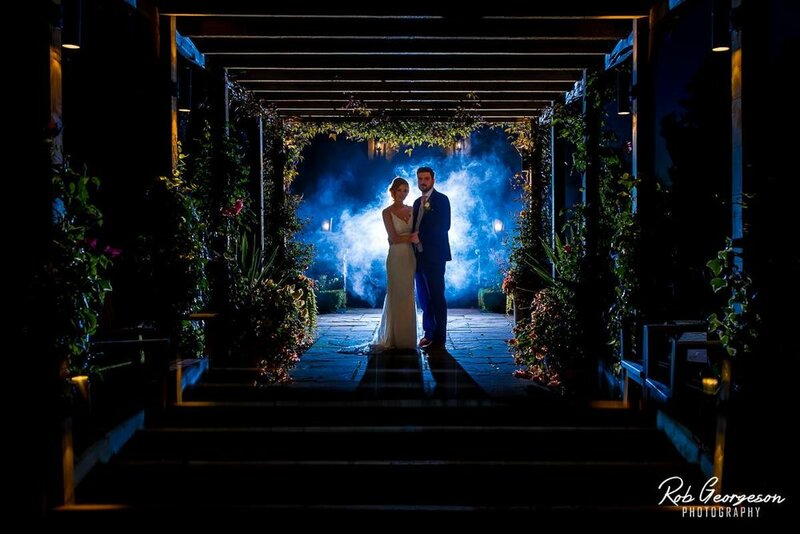 The new bride and groom then made their way out in to the gardens for a drinks reception. 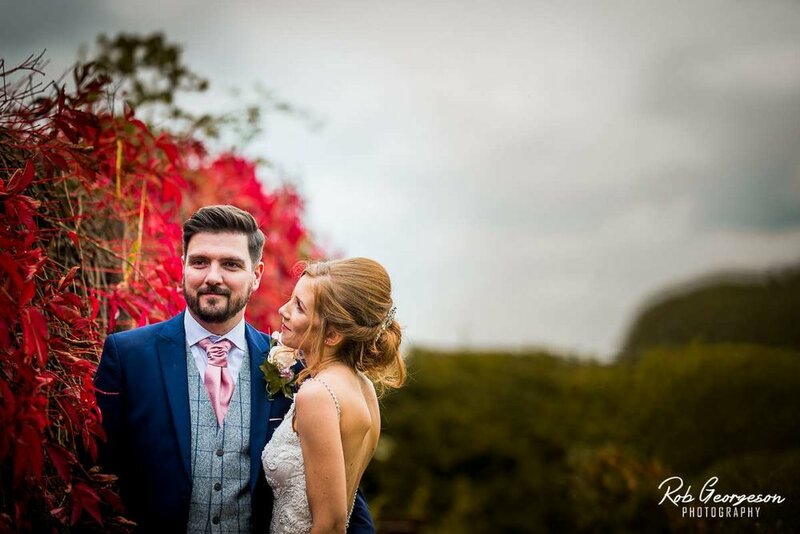 The grounds of Ferraris were full of autumn colours on the trees which were glowing in the bright sunshine which was perfect for a quick natural portrait session with the newlyweds. 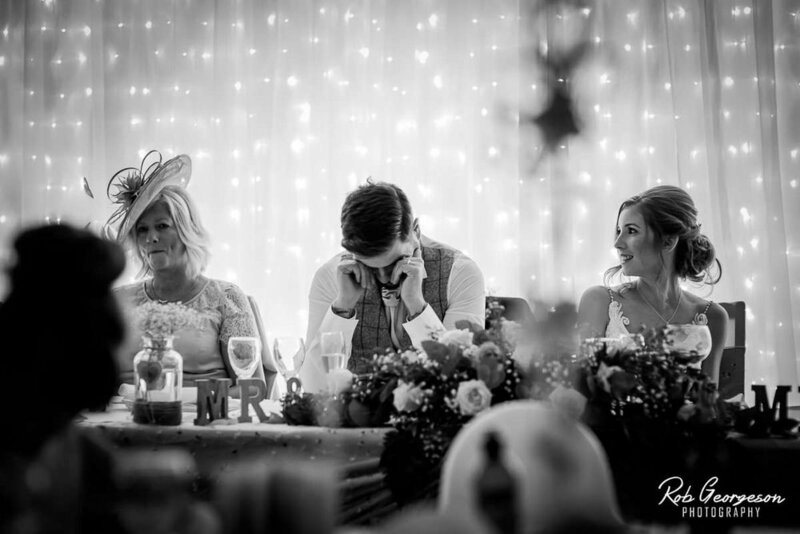 The guests then took their seats for the wedding reception in a beautifully decorated room to the sound of a string quartet. 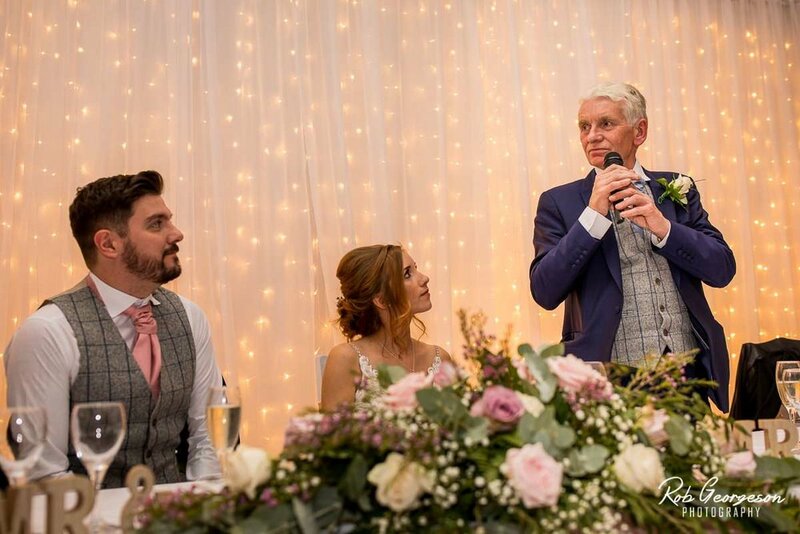 After the wedding breakfast, there were speeches from the groom, father of the bride and a hilarious slideshow from the best man with plenty of embarrassing photos of Adam in his adventurous younger days. 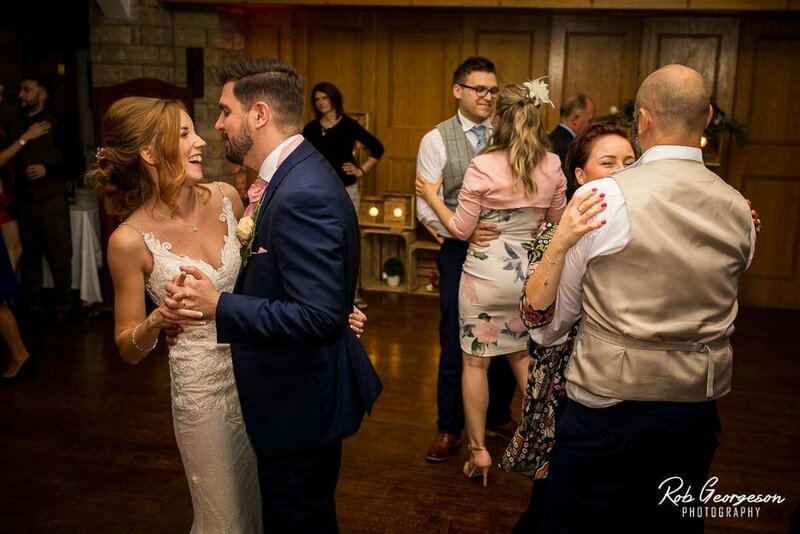 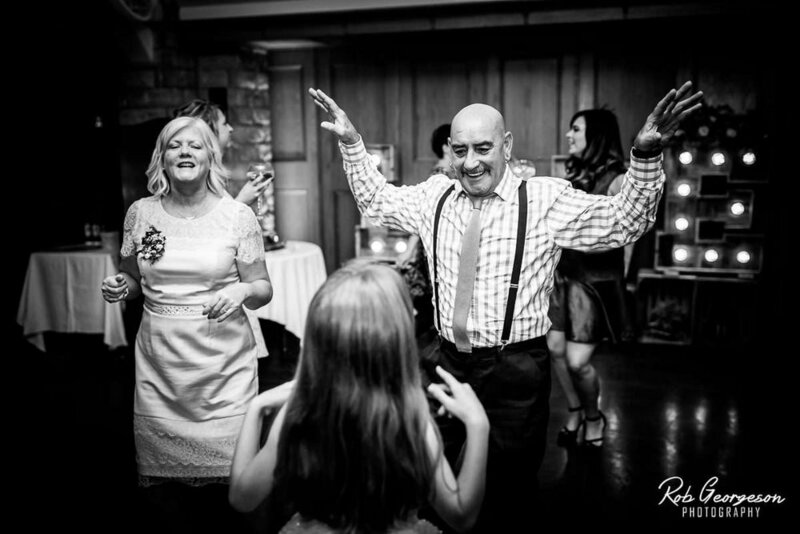 The day then drew to a close as the cake cutting led to the first dance and the party started with the guests dancing the night away on the dancefloor.